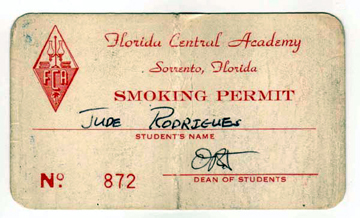 Jude Rodrigues, class of 1982, send in this scan of his FCA smoking permit. He writes: Yes, we had to have a permit to smoke. Funny I never smoked but got a permit for some reason?? ?